Join distinguished international and Australian speakers for two days of debate on the future of warfare. 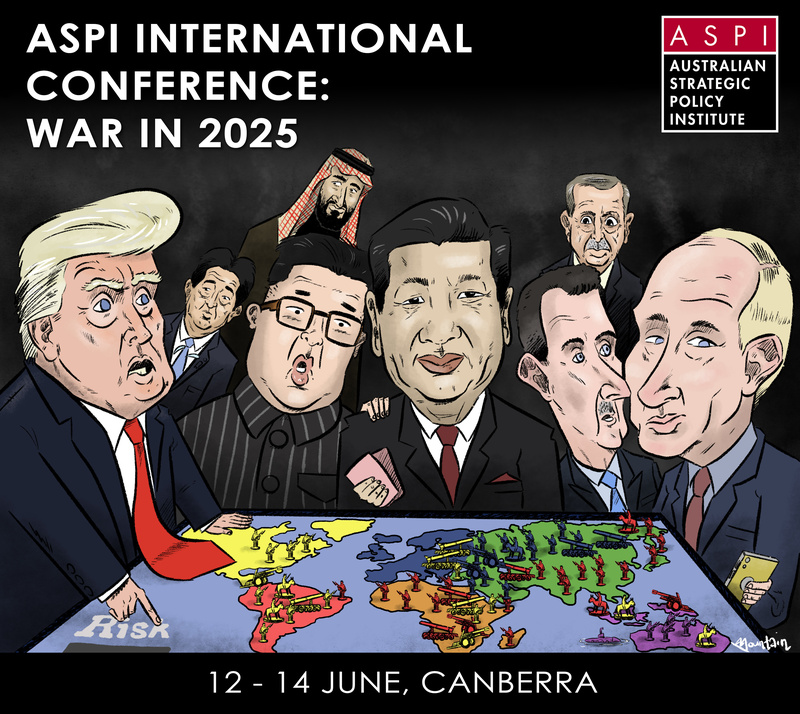 ASPI’s War in 2025 conference will consider the key drivers that could lead to conflict in the next decade, how the relative power dynamics between the great powers are changing, multidomain warfare now and in 2025, what technologies will shape future warfare, information operations, and the next Defence White Paper. The Full Package gains you entrance to the Welcome Reception, 13 June (sessions 1 - 4), the Conference Dinner and 14 June (sessions 5 - 8). This ticket grants you entrance to the 13 June conference plenary (sessions 1 - 4). Please note this does not include the Conference Dinner. This ticket grants you entrance to the 14 June conference plenary (sessions 5 - 8). This ticket grants you entrance to the Conference Dinner only.